Up until a couple of years ago, Mark Ching was a successful businessman who dedicated his free time and resources to rehabilitating abused dogs in Los Angeles and finding new homes for them. 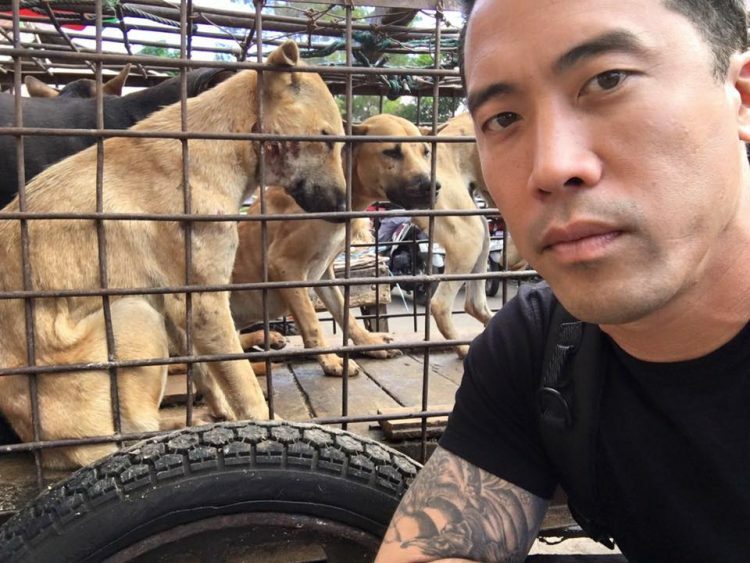 But then he heard about the horrors of the dog meat trade in China, and after witnessing them first hand he dedicated his life to rescuing as many canines as he could from dog slaughterhouses across Asia, even if it meant putting his own life at risk. Mark’s life changed in 2015, when he heard about an annual event in China called the Yulin Dog Meat Festival. He knew that the Chinese and other Asians ate dog meat, and he accepted that as a cultural thing, but what he couldn’t understand was the unspeakable torture that the animals were apparently subjected to before being killed, to supposedly make their meat tastier. It didn’t make any sense to him, so he bought a plane ticket to China, put on a backpack and flew to Yulin to learn more. The gruesome scenes he saw on that first trip to China were more horrific than he could have ever imagined, and while they left him traumatized for life, they also transformed him into a brave activist willing to risk his life to rescue as many animals as possible. Summer is just around the corner and, as we all know, there’s no better way too cool off on a hot day than with a creamy ice cream. 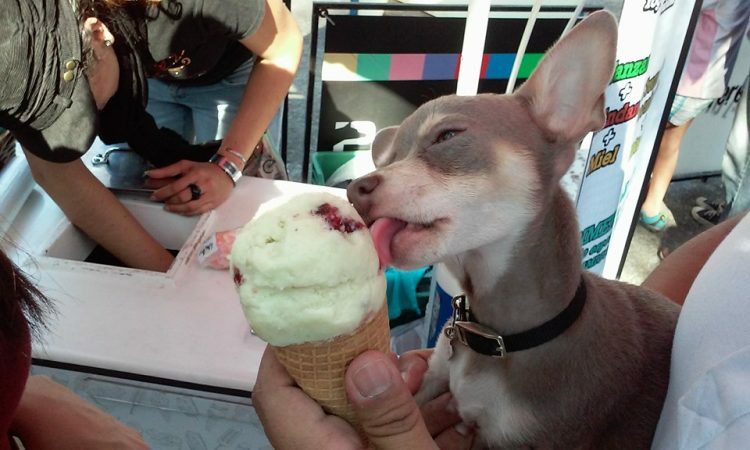 Apparently, the same goes for dogs, but feeding them regular ice-cream can cause serious health problems, so one ice-cream maker in Mexico City asked veterinarians for help creating frozen treats specifically for them. Many dogs are lactose intolerant, so feeding them milk or products based on regular dairy can upset their stomachs and cause diarrhea. They also lack the enzymes needed to break down sugar, so eating too much of it can induce vomiting. Chocolate is also a big problem for canines, due to an alkaloid called theobromine, which they metabolize very slowly, and eating too much of it can literally kill them. 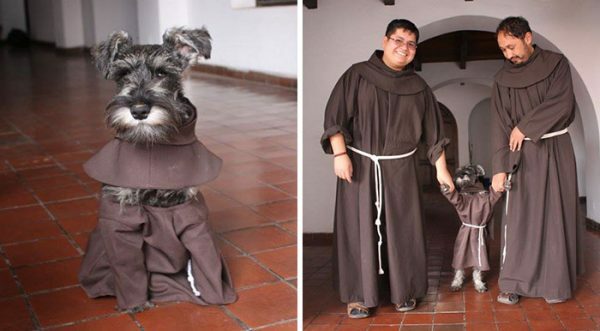 After learning all this, Mauricio Montoya, owner of Don Paletto ice cream, in Mexico City, decided he needed to create a special kind of ice-cream for pooches. Pratima Devi, a 65-year-old ragpicker from New Delhi, India, has dedicated the last three decades of her life to caring for stray dogs. Rummaging through trash and running a small tea stall barely allows her to support herself, but she’ll gladly skip a meal or two to feed the hundreds of dogs she looks after on a daily basis. 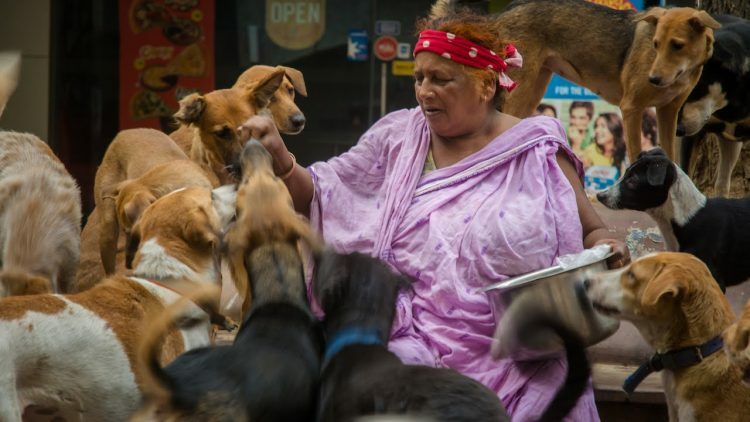 The “Dog Lady of Delhi”, ad Pratima has come to be known in India, never had an easy life. Born into a poor family, she got married to a man 10 years her senior when she was only 7 years old, and had her first child at age 14. Her marriage was not a happy one, as her husband would often come home drunk and beat her, and both she and her mother suffered at the hand of her in-laws. Her husband didn’t have a job, so she had to work all day and take care of the house to make sure they had food on the table. When he was 5 years old, the oldest of her three children went to New Delhi to work, and when living with her abusive husband became too much to bare, Pratima followed him to start a new life. There, she started working as a domestic helper in the house of a popular model-turned-actor, and later set up her own tea stall, in the Saket neighborhood of Delhi. It was here that she met her best friends, stray dogs. 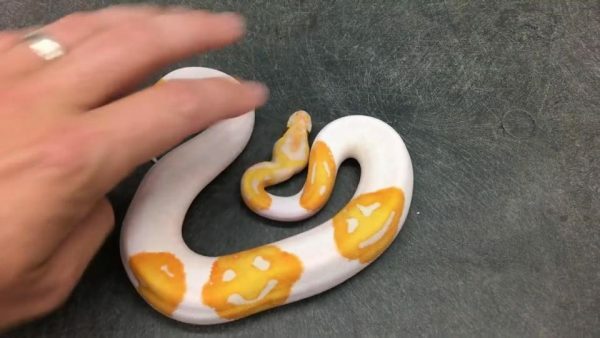 Justin Kobylka, a selective reptile breeder from Georgia, claims that he spent eight years trying to create a snake specimen with detailed smiling emoji patterns. He finally did it, and the result looks as unreal as you can imagine. As a selective breeder, Kobylka specializes in taking relatively common reptile species and creating specimens with striking physical features which he then sells for a much higher price. He has created a number of visually-impressive over the years, but none as stunning as the Emoji Ball Python, a Lavender Albino Piebald Ball Python with three orange smiley emojis on its skin. The unique pattern is caused by recessive mutations, and while these occur naturally, the chances of them occurring in the wild are “astronomical”, according to Kobylka. He claims his Piebald Ball Python is the world’s first to have three detailed smiley face emojis on its slithering body. For the last 22 years, the Promised Land of Pigs, a unique farm in Amstelveen, the Netherlands, has been a haven for hundreds of pigs that would have otherwise been slaughtered and sold piece by piece at a supermarket. 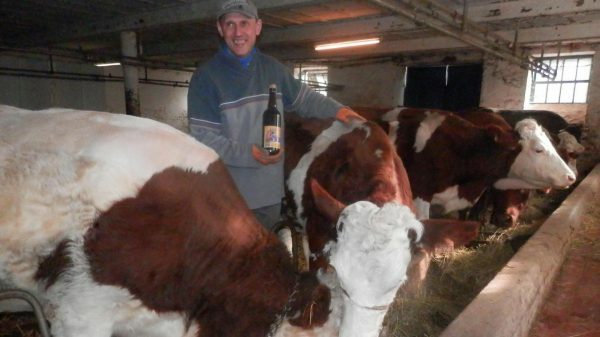 Here, they enjoy a peaceful, comfortable existence complete with hugs and weekly massages until the end of their natural lives. The Promised Land of Pigs (Beloofde Varkensland) is a non-profit organization founded by Dafne Westerhof, an activist militating for the humane treatment of farm animals. 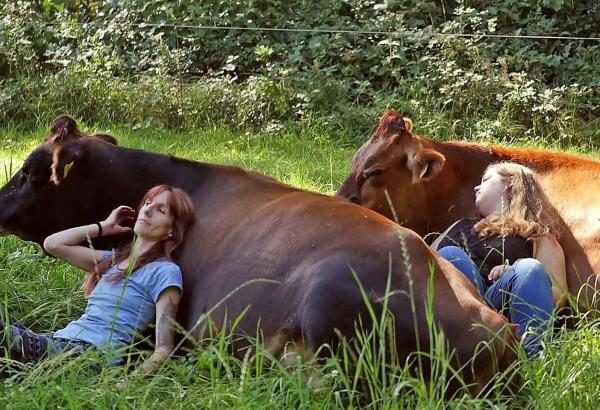 For over two decades she has saved hundreds of pigs, either by buying them straight from slaughterhouses, or taking them in from breeders who no longer had use for them or had become too attached to them to have them butchered. 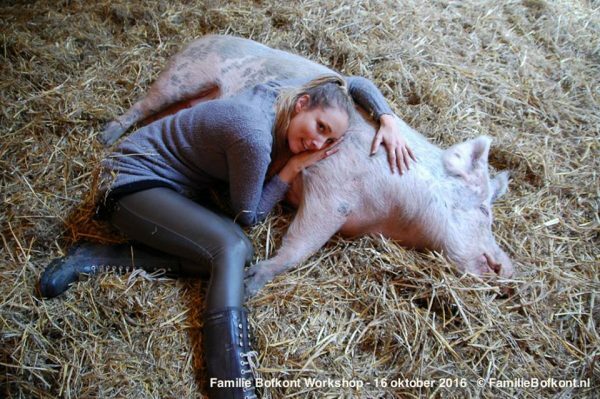 Whatever the reason, she’s always been more than happy to accept new pigs into her “Lucky Family” (Familie Bofkont) and give them the life she thinks they deserve. Winter in the Turkish town of Terkirdag has been particularly cold this year, but a local cat lover has come up with an ingenious solution that allows stray cats in her neighborhood to escape the chill – installing a tiny metal ladder leading up into her cozy apartment. 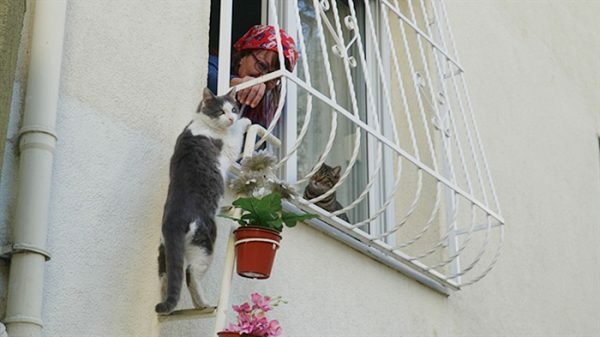 Sebnem Ilhan couldn’t just sit by and let the stray cats freeze to death, so she decided to open up her home to them. But since inviting them in through the front door wasn’t going to work, she had to come up with a more practical solution. The window seemed like the best choice, but even though her apartment is on the ground floor of an apartment building, the window is still to high for cats to jump on to. So she had a tiny metal ladder made that the strays could climb to reach her window. It is very dry in Kenya’s Tsavo East National Park, and the animals there are struggling to find vital water water sources. The bad news is that rain isn’t expected to fall again until November, but the good news is that there are people willing to bring water to the animals by the truckload until that happens. Patrick Kilonzo Mwalua is the founder of Tsavo Volunteers, a group of animal lovers who look after the vulnerable wildlife of Tsavo National Park. Poachers are generally their biggest problem, but these days, the drought is threatening to kill even more animals . 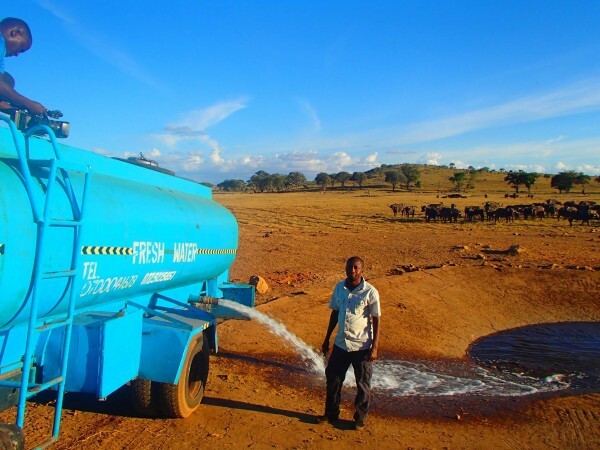 The prolonged drought has made water “a very precious commodity”, and thirsty animals sometimes have to walk long distances to find the few watering holes that haven’t dried up. Due to their scarcity, elephants often fight each other for the right to drink, which leaves the smaller, weaker ones at risk of dying. But Patrick and his team are not about to let that happen. Temperature-controlled rooms, king-size beds, a dreamy playground and gourmet chow are just some of the things felines can enjoy at Catzonia, the world’s first five-star hotel for cats. Located in Damansara, just outside Malaysia’s capital city of Kuala Lumpur, Catzonia was set up to offer pampered felines a lavish holiday whenever they need a break from their daily routine, or when their loving masters are away and can’t offer them the attention they deserve. Featuring a total of 35 rooms split into four categories, Catzonia is manned by a crew of feline lovers who promise to play with the guests, groom them and generally make sure their stay is as comfortable as possible. 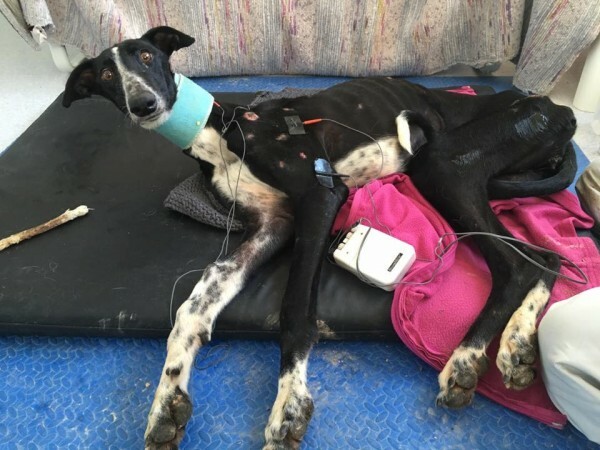 Taiwan recently banned euthanizing abandoned animals in shelters, a law believed to have been prompted by the shocking suicide of a young veterinarian, in May 2016. 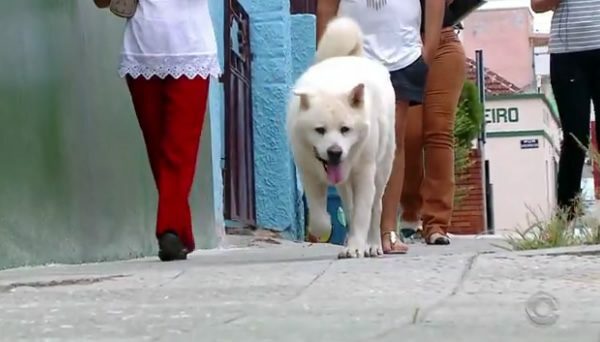 31-year-old Chien Chih-cheng injected herself with euthanasia drugs, after becoming extremely disturbed by the large number of animals she had to put down. Chien Chih-cheng was the director of of an animal shelter in Taoyuan’s Sinwu District. She had chosen to work at the shelter because of her love for animals, and her colleagues remember that she “often worked overtime, rarely took a proper lunch break, and sacrificed her holidays to give the dogs more attention and make their lives better.” After graduating from one of Taiwan’s top university with the highest score in a civil service examination, Chien could have opted for a number of desk jobs, but she chose to dedicate her life to helping abandoned animals and getting them adopted by new families. 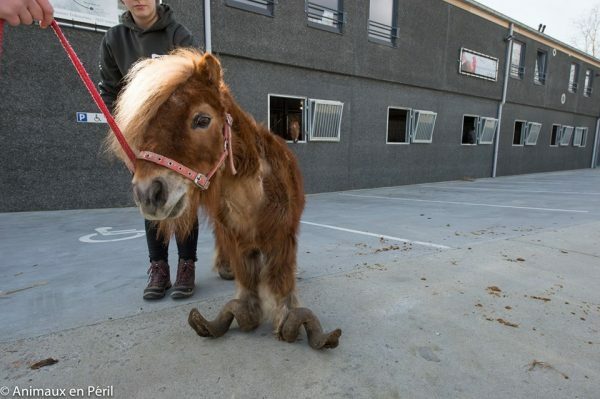 But her job also required her to euthanize the animals that didn’t get adopted after a certain period of time, and this took a heavy toll on the young animal lover, especially after animal rights activists accused her of killing hundreds of abandoned dogs.